MECHANICSBURG — Nearly a decade ago in the state of Ohio, Governor Ted Strickland signed the Next of Kin program into law as the Money-Burge Law. Now, a celebration of that event will be held. Ten years ago, on May 1, 2008, Mechanicsburg native Carmela Wiant saw the culmination of her hard work when Strickland put pen to paper at the statehouse. It was an effort born of pain. 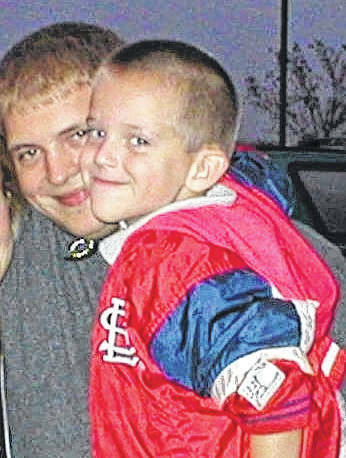 Wiant had lost her son, David Money, in a car accident the year before. Unable to identify next of kin, Money passed away in a hospital without his family present. Wiant received news of the accident and frantically called around to local law enforcement and then the hospital, but was notified of his death suddenly by the hospital chaplain. Now, the Bureau of Motor Vehicles has next of kin information tied to drivers’ licenses – and has since September 2008. The program is optional, but has seen 1,165,805 people signed up as of January 2018. In honor of a decade of the program’s existence, the Mechanicsburg United Methodist Church will host a luncheon on May 1 at 12:30 p.m. in the fellowship hall. Reverend Mimi Ault is helping to organize the event, which has a guest list that includes first responders and politicians, though the public is welcome. “I’m excited. I don’t know that we’ll have a lot of the community there, but we’ll have the people that were involved in making it happen. And that’s what we really wanted to do, is celebrate the fact that she was able to do this,” Ault said. Reach Justin Miller at 652-1331 (ext. 1775) or on Twitter @UDC_Miller.